There was a time when employees were required to keep their cellphones in a locker and then enter the work floor. Such a situation today would be unthinkable though we wouldn't be surprised if some companies are still following draconian methods to suppress social media activity. Companies often worry that when employees are allowed to use social media, people will keep texting their friends and not work. This may be true but how much can one control employees? After all, restricting people from using cellphones backfired in many companies and with social media too, the effect was similar. On the other hand, allowing social media at work has more advantages than disadvantages. Employees need to use social media to connect with clients, customers and sometimes people from their own company. In fact, social media is becoming an integral part of HRMS. HR departments which once forbade their employees are actively asking them to use social media and be active. This is because, social media is no more limited to friends and family. Social media has become a business necessity and it reduces a lot of communication gaps which companies previously faced with legacy communication systems. These days, companies use Facebook, LinkedIn, Twitter and other tools to not only recruit or keep a tab on their employees, but also to market, make sales, provide CRM and to stay in touch with clients across the world. Obviously, it is impossible today to envision a business situation without some use of social media. How many times did you look for employees in the newspapers and magazines? Not many times, we are sure. We are quickly moving towards social recruitment, sifting through LinkedIn and Twitter profiles to find the best candidates. Social recruitment has also spawned new ways of networking. Your next CEO will probably be hired after you find him on LinkedIn! From the lowest level of employees to the highest, social networking and social recruitment will come to your rescue. Integrating HRMS with social media will help you to bring in social recruitment to the forefront of your company's policies. Moreover, most employees look for jobs on social media as well. Thus, turning away from social media is not really possible. HR departments must learn to integrate social media with HRMS. With employees needing to be communicated often, you do not want to write emails anymore. You simply send them a Twitter mention or ask them to follow you on Twitter to follow what is happening with the company. Similarly, you could use Facebook and LinkedIn for the same purpose too. For this to happen seamlessly and to include all your staff in this social communication program, HRMS should integrate social profiles. This is also a good way to track your employees' activities, without being overly strict or interfering. 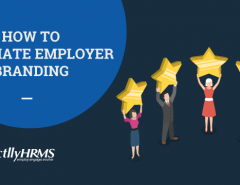 Another way of using social communication on HRMS is to identify potential employees for internal programs related to training and development. Social media provides a wealth of information about your own employees! Most employees have this idea about HR departments that they are too secretive. Employees are often paranoid about what goes on behind their back in those murky chambers of the HR department. If you feel you are being judged unfairly, and rightly so, you should try and integrate social media within your HRMS. This will enable communication to take place seamlessly in a transparent and familiar online space. All your announcements, notifications and other important communications can be automated using HRMS and then, they can be relayed over social media for your employees' consumption. Sharing information and maintaining transparency just becomes a lot easier. One of the most important uses of social media is analytics. There are several social analytics tools available today and some of these can be integrated into the HRMS that you are using. Otherwise, speak to one of our executives about how we can help you to integrate social analytical software into your HRMS. Analysis helps you to gain tactful and useful information about your employees and you could even predict their behavior in the future. This helps you to come up with policies regarding how IT and social media can be used within your company. Social analytics can also be used to test your products before you launch them in the market. Sometimes, your own employees are great testing grounds for your products and services. How they communicate about your products will reveal more about how successful your products are going to be. 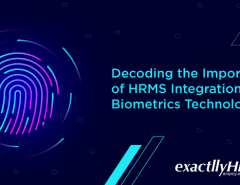 Though this is one of the most quoted concerns of companies when it comes to social media, you can rest assured that integrating social media into HRMS actually helps with privacy and security. Social communication can be tracked and observed and when something is amiss, it can be traced back to the individual who may have broken protocols. In other words, social media actually enhances your privacy and security. If your employees are using their personal accounts, you could make it a requirement to sign non disclosure agreements that bind them to not revealing information once they leave their jobs. This can be automated as well, as it is just another form. Social media will continue to play an important role in the way we communicate with each other. 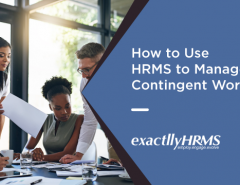 It is an inextricable part of our lives and there is a reason why companies are beginning to integrate HRMS with social media. That reason is, it is simply the most natural thing to do. Integrating social media with HRMS only has advantages and there are no disadvantages as such. 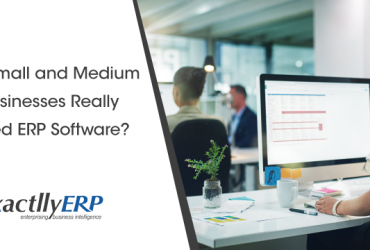 For this reason alone, it is a good idea to customize your HRMS to integrate social profiles, social communication and other social features in order to reap the benefits. Moreover, your employees will already be familiar with social networking tools. Integrating social media within HRMS will actually be an incentive for your employees to use your HRMS more often. This means, your HRMS implementation will be a success. 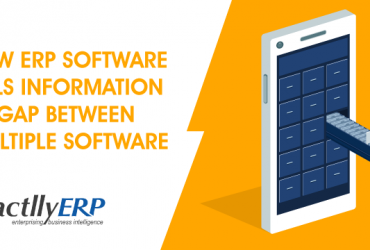 Previous Article Do Small and Medium Businesses Really Need ERP Software?